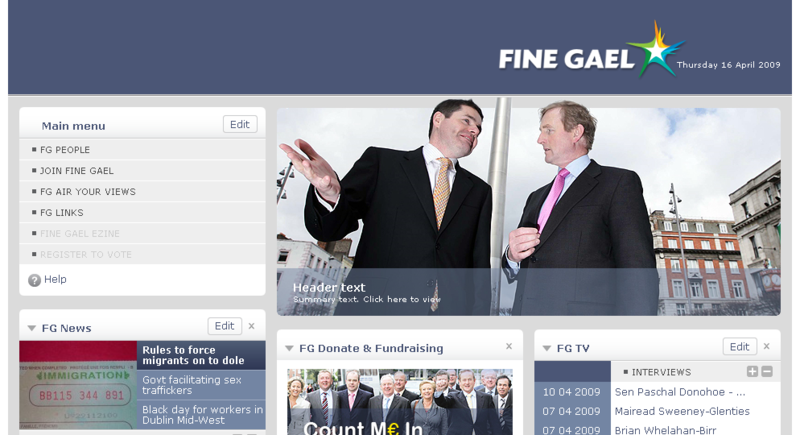 Fine Gael website v2.0 up, overnight success??? So the *ahem* NEW Fine Gael website just launched at www.finegael.org. So what’s changed since yesterday’s short-lived first incarnation? Let’s see. We’ve also got lots and lots of Paschal Donohoe all over the thing this time around but that’s another story. A decent effort at a coverup of blatant plagiarism but anyone who frequents the BBC website for their news fix would still spot the ‘inspiration’ or at least start rubbing their chin and say ‘it looks familiar but I’m not sure why’. I will be emailing FG at lunch time. Can’t wait to see if I hear anything back. Guessing we still have no names of whodunnit in terms of overseeing the project/building the site? Update @2.23pm on 17/01/09: Stu has been doing some more lining up while Vincent Gribbin is still adamement that the site is not a copy. Update @5.20pm on 17/04/09: Commenter points out that FG have violated the terms of the BBC.co.uk website. Senator Paschal Donohoe replied swiftly to my email to say (paraphrasing) he hasn’t seen any news or heard anything about the site but will look into it when he’s back from his travels. 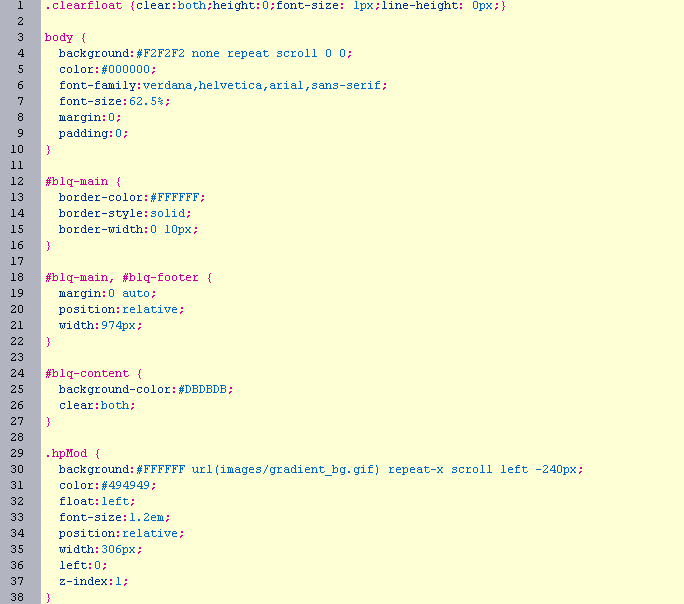 Coz I’m a person who lives and breathes CSS from 9 to 5 I decided to dig a little deeper and boy was I surprised to see that their developers didn’t even bother to change the class names in the CSS files. Unreal. See www.finegael.org and www.bbc.co.uk for yourself. Update @11.20, 16/4/09: Seems www.finegael.org is now down completely. Stewart did some file comparing before the site went down, check the results here (thanks Stu). A web developer for the BBC has also added his comments. Had a chuckle to myself on the way to Handel’s Messiah at Christchurch reading the press release that went out to Fine Gael mailing list subscribers (which I have been since meeting Enda Kenny a few weeks back and him saying a new site was in the pipes). I’ll be emailing members of FG tomorrow to voice my views & following up on this post. I simply haven’t had time today.